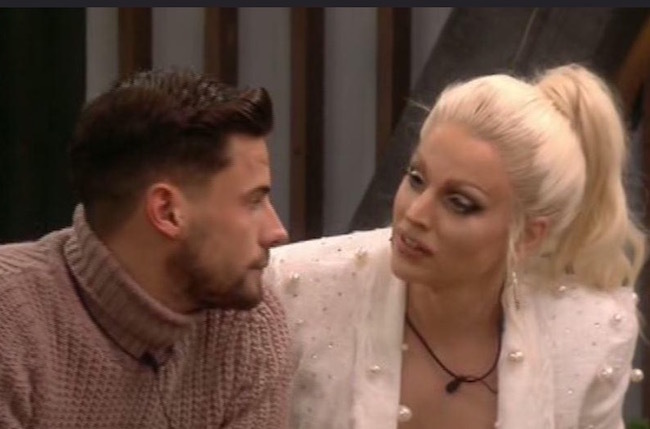 As the world becomes ever more topsy-turvy, there’s at least one, solid foundation we can cling to: As long as there is Celebrity Big Brother, there will be a developing gay/straight bromance that captures the imagination of audiences. We never promised it would be much. And this season’s giggle-fest between Shane Jenek (a.k.a. Courtney Act) and Andrew Brady is one for the books. That is, assuming the sort of books you read are dramatic retellings of reality television. The pair has already grown close through a shared experience of things like shaving in the bathtub and copious flirting. So what’s the dynamic duo up to of late? Well, they’ve got to keep escalating if they want posts like this one to keep popping up in people’s feeds. Here’s the un-cropped version, along with another similar display (from a better angle), just for good measure. Nice buns! I truly don’t watch any reality TV anymore, but your updates make me smile. Really cool to see Andrew so accepting of Shane/Courtney…he actually looked proud when she won the series. I was happy to see Shane J/Courtney win, especially over Ann…Year of the Woman…well, almost. Using command prompt is really an easy process visit here http://commandpromptwindows10.com to get that how to use it step by step with the help of shortcuts.